February 6, 2017 January 19, 2017 Laura M.
A long while ago I reviewed Tin Man Games’ An Assassin in Orlandes, and I definitely loved it. Now the same developers bring us back to the city of Orlandes with Curse of the Assassin, another choose your own adventure game. If you haven’t read my previous reviews of these games, then let me give you a small recap on how they’re played: These are text-based adventures, and the particular developer goes all the way out presenting it out to you as an actual, albeit digital, book. The chapters are short because each time you reach an important junction you’re offered a choice of moving or acting a certain way; as such, every time you make a choice you change your fate. The books have various endings, and Curse of the Assassin is no different. Combat, to spice it up, is mixed up a bit with tabletop RPG style by adding a dice – a roll higher or lower than a certain predetermined score will decide your luck. Like in the previous games, before you dive into the game you’re given a choice of difficulty ranging from classic (with few bookmarks and stats granted by dice rolling), through Adventurer (with two base stats and unlimited bookmarks to retrace your steps), to casual (which allows you to better enjoy the story by providing you unlimited bookmarks, the option to go back, heal yourself not to die, and a button to unlock all choices). This time around the story continues on from An Assassin in Orlandes. After defeating the last evil, you find yourself going through a patch of good luck, getting higher in your social status… until the strange death of an old friend sends you back adventuring. Though it has various references to the first game, I don’t think it’s truly necessary for you to have played it in order to enjoy the story. So. What all is different from the first one? For one, the art has improved plenty. I was a lot more into the offered art this time around, both for mythical beasts and humans alike. The writing is still pretty good, but I didn’t enjoy it as much this time around – in some parts where I would have liked to make choices I was not provided those, and some of the ‘chapters’ (or sections, if you will) were a lot longer than in the previous installment… as in turn resulted the entire story. I did rather enjoy that they tempted adding in some romance and giving you a companion through your adventuring, which made it feel a bit less lonely. It also felt like there was plenty more to explore as well as plenty more choices to make, and I do love choices. But there were also a lot more fights too, and those I always find a bit annoying, if only because they can drag a bit with all the dice rolling. The sounds and music are pretty good, as expected it can get a bit annoying as you play, so in the end I muted it, as I usually do in most games. Would I recommend this one? Definitely, with a top rating despite the few shortcomings. I would also recommend that, despite not needing it, you play An Assassin in Orlandes first, if only to get your bearings (plus, it’s shorter and you’ll find out if you like these types of games or not with it). July 21, 2016 July 19, 2016 Laura M.
July 19, 2016 Laura M.
I have a soft spot in my heart for CYOA books, and this one totally took me to the past. The Forest of Doom by Tin Man Games is a choose your own adventure (CYOA) game, and as such, you can expect it is only a text adventure and there will be no fancy graphics beyond an illustration or two along what’s essentially just a digital version of a book, with some extra interactive perks. The Forest of Doom mixes typical CYOA gameplay with the dice rolling of RPG games to decide whether or not you win or pass certain encounters. This means you will also be rolling for stats, and you can get either really good or really bad ones, depending on your luck. I honestly quite enjoyed the mix of these two game styles, even if the fights and encounters ended up being completely luck based because of the dice. If you’ve never read a CYOA book, it works like this: You reach a point in which you’re given two or more choices, and it indicates what page to turn to continue the story on the proper path. There are several different endings, some failure, some death, and a ‘true’ one. Some of the choices might be obscured if you’re lacking in knowledge or items. Controls for this are pretty simple: You just flip pages by clicking and click choices as they appear. You have a bookmarking function to return to a previous point in the book, plus maps, art, etc. At the start of the story you may also pick what difficulty you want to play in. The Forest of Doom offers 3, a normal (or “medium”) difficulty, a harder difficulty, and a “free read” difficulty which allows you to cheat – you can heal yourself or uncover options you might have not had otherwise, in order to get through the entire book. The story is fairly simple (you’re a warrior who -rather randomly- decides to help some dying dwarf fulfill his last duty), and while it might be predictable and might not be a literary achievement, I think it’s a great story that younger people would enjoy, even if the ending(s) are lacking a bit. The graphics were good as far as backgrounds went, the art was pretty good with places, maps and areas, not so good with human figures. The music was good, but repetitive and annoying at the moment of reading, so I muted it. But then, I 99% of the time mute music while playing. The only real disappointing thing was that you could not backtrack without using free read and cheating, you chose a path, east, west, north, but could not return where you’d come from, and thus you could easily miss the things you needed for the good ending without a chance of ‘exploring’ for them. I did encounter one bug while playing: though my steam settings specified English the game still started in Spanish; after it downloaded an update it was half in Spanish, half in English, and I had to go into settings and re-set them to English for the game to take it. It was a silly bug, small and didn’t deter from the actual gameplay, but annoying nonetheless. All in all it was a fun, quick read, and it brought back plenty of nice memories, but better grab it when it’s on sale, as I don’t feel with the length it’s worth the full price. 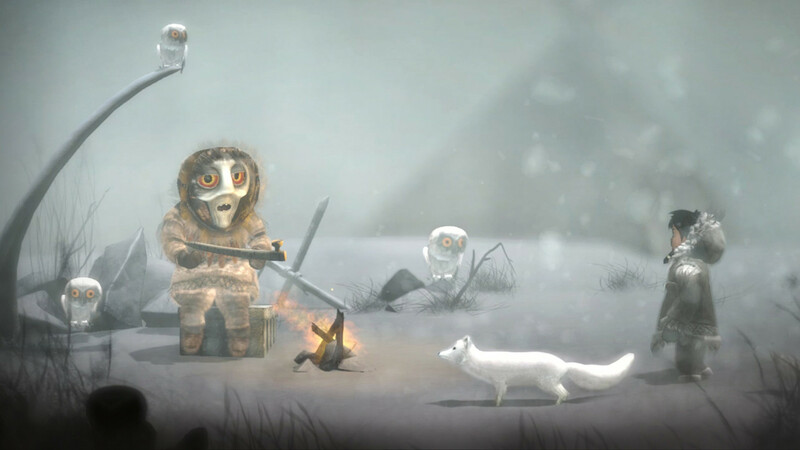 December 2, 2015 Laura M.
The Point and Click adventure game Perils of Man (or The Perils of Man, if they make up their minds), by IF games, takes you on a journey through time. You play as Ana: after getting a present from her missing father, she wants to learn more about the gift, about him and try to find where he is now. The game in itself is nice and short, controlled mainly by the mouse, though you can use your keyboard to call up the inventory, which was handy. 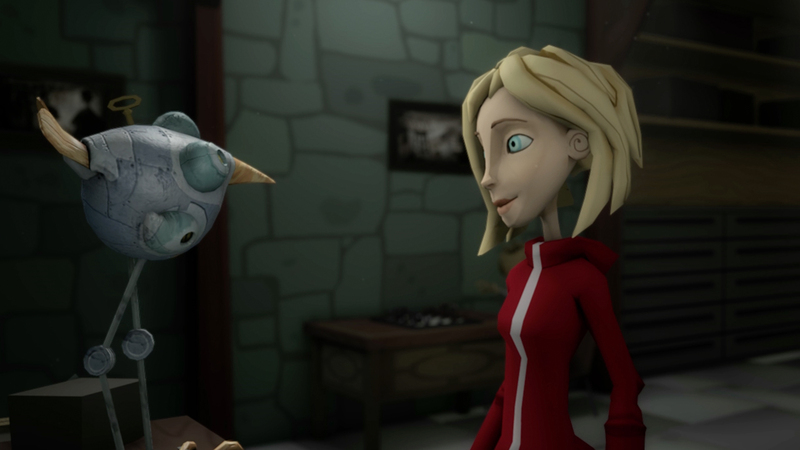 The graphics might not be everyone’s cup of tea, but I rather liked them – they have a bit of a cartoony look to them, and also reminded me a little of Coraline for some reason (however, Perils of Man has nothing to do with it). The 3D renditions of them move nicely, though I did miss the ability to run on double click, and in a couple sections they did bug out and ‘slid’ rather than walk. But I’ll go more on that later. The music was a delight to listen to, although I do wish it would have stopped when the game wasn’t in focus or was minimized. The sound effects and voices were really, really nicely done, making the game quite charming. The dialogs and just the overall feeling of it all was reminiscent of the adventure games of old, just in a slighter… easier way. The puzzles weren’t as challenging, but they were pleasant to play through all the same. There was no oblique thought going into it about forming strange things to use as other things, all item mixing was logical and/or explained somewhere if it didn’t seem overly logical. I do have to say my computer, as it’s not extremely powerful, tends to lag a bit on videos, and unfortunately lagged on Peril’s videos as well. Normally I try to skip them (which you can do here) and watch them later (after I’m done with the game) on youtube, or make a second play-through if the game wasn’t too long to see it with all the laggy cutscenes, but I found it hard to do with Perils, for the cutscenes contained only not parts of the story, but entire clues on what you had to do next. This was quite troublesome to me. 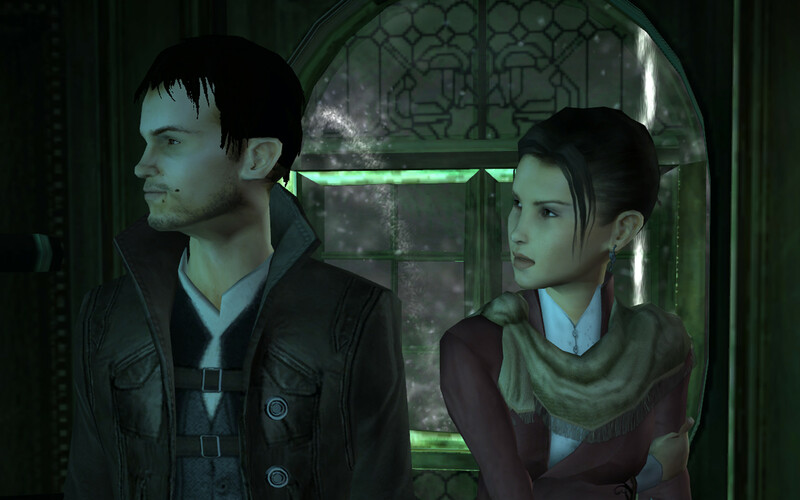 As much as I love to watch carefully crafted cutscenes, what I like more about games is often to play them, after all. However, the cutsecnes weren’t too long, so if the videos work well for you they are worth a watch for the clues and the story alike. As for everything else, Perils of Man ran quite fine in all chapters except one when she’s on a ship in the sea; the storm in the back lagged it terribly and it was quite a torture to get through it. It lagged even when the storm wasn’t seen through any of the ships windows or portholes, which was even more annoying. Another thing that was really bothersome was a section in the theater, there is an area that links the furnace and cisterns, but unless you click in a very precise area, the camera won’t follow you even when you hear Ana walking away out of sight. I was pretty sure I clicked all over to no avail, and in the end had to turn to the forums for help. It wasn’t really a bug, but it wasn’t very well thought out either. What was a bug though was getting stuck in a couple areas on invisible walls, just because I tried to do two actions too fast. Then she would refuse to walk but you could still hear the steps sound effect. She would also end up walking but then not want to accept any further commands – no leaving the area or clicking on another item unless you reloaded the game. It wouldn’t had been so annoying if it hadn’t all started happening after I got “stuck” trying to enter the cistern, which had already frustrated me quite a bit. Fortunately the game auto-saves (apparently) fairly often, so I didn’t experience any loss when I had to do the reloads. Despite that, the game is fun, the story is interesting and the ideas in it good, although I do feel like the ending didn’t quite resolve things entirely… and it reminded me of the good old adventure games of old, which is always nice. I definitely recommend it, and hope you don’t encounter the bugs I did. November 28, 2015 Laura M.
Showing Tonight: Mindhunters Incident is a Point and Click game with some Hidden Object scenes and undertones, created by Phime Studio. I say this is more a P&C game because really, there’s only about 3ish HoG scenes, the rest I wouldn’t consider to be exactly hidden object per se. In this game you take the role of a man who falls asleep watching the movie “They Ate My Clapper”, and thus wakes up in this movie world, tasked with finding the missing crew. To be honest, while the story on paper sounds good, in game it was rather confusing. Alien artifacts, mind powers and mind control, horror? I’m not sure if it’s going for paranormal (which was my original assumption) or something else, and by the end of the game I’m still unsure of it. 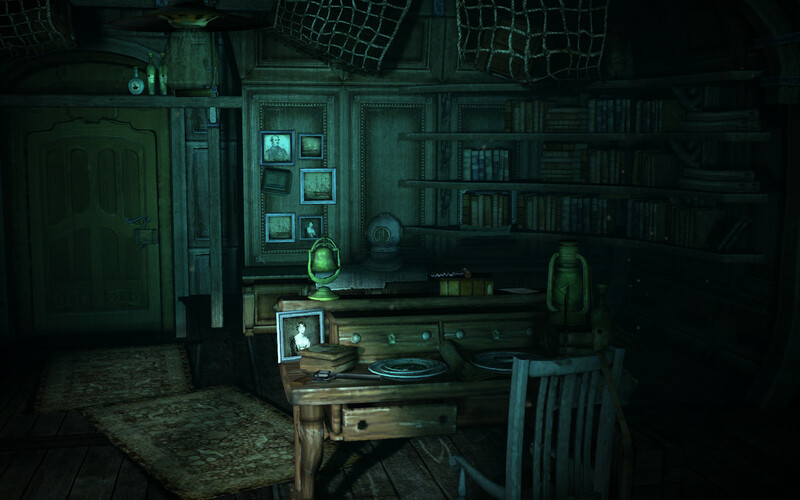 The game has various chapters, all interconnected in locations (you’re not locked out of any of the areas), and a final bonus chapter which you can only access by completing the entire game. It’d be nice if they’d put an option to play the bonus chapter separately from the main story, and if they had asked/warned you about playing it instead of tossing you into it right after the main story’s finale, leaving you even more confused. That said, and despite the occasional item appearing out of what I felt was thin air, the game was fairly logical. Meaning for most things you needed actual tools (a shovel for digging something up) rather than finding an oblique way to go about it. The puzzles varied in complexity, some really easy, some much harder, some seemed to be more trial and error than anything, which was a bit disappointing. The main ‘thing’ of the game seemed to be the silhouette puzzles, in which you were to match an item with its silhouette via turning it around with arrows. It wasn’t too difficult, but after the first two or three times it lost its novelty and having to do them in nearly all the important puzzles got quite bothersome, to the point where some I just skipped to move along the story faster. On the puzzles that require some note to complete, while you can’t hold the note up at the same time of the puzzle, accessing it is still easy and not as bothersome as in other HoG games. You also don’t have to wait to collect every piece of a puzzle before you put it in its place, which is quite nice. My only real complaint was the jukebox puzzle, in which either I was missing something obvious or you weren’t really given a hint on when you were sort of heading in the right direction with it, which ended up making it quite frustrating for me. It was probably user error, but there you have it. On the other hand, Mindhunters also had a couple mini-games which were fun to play. The sound effects and music can get a tad repetitive, but they’re relatively nice and seem to fit the game okay. The voice acting, however, left a lot to be desired, even if they aren’t precisely the worst I’ve heard. The graphics are quite nice, particularly the detailed backgrounds; the animations aren’t too bad, even if they could be a bit more fluid. Some of the scenes could benefit from a bit more research on how things look – for instance the driving scenes in which you saw the people from the front inside the car. I rather liked the quick travel map, even if I wished each section would have had its sub-sections as quick travel as well. All in all, I quite enjoyed my playthrough and would certainly recommend it to HoG and adventure fans, even with the small downsides. I’ll be looking forward to see what else Phime comes up with in the future. November 27, 2015 November 27, 2015 Laura M.
Erwin’s Timewarp is an adventure game. You play as the pet dog of some scientist who built a time machine and sent you to the past, and you’re tasked with finding various pieces of this machine in order to return to the present. Starting the game you’re able to put it in various resolutions of window mode, and you can also choose to play at full screen; this is something I usually really appreciate as I don’t always like to play certain games in full screen. However, there’s little else in the form of proper menu and options. The only sounds to be found in the game at its current stage were also only in this menu, and unfortunately, the music was completely awful to me. I could not click out of the menu fast enough. Visually the game is kind of cartoony. 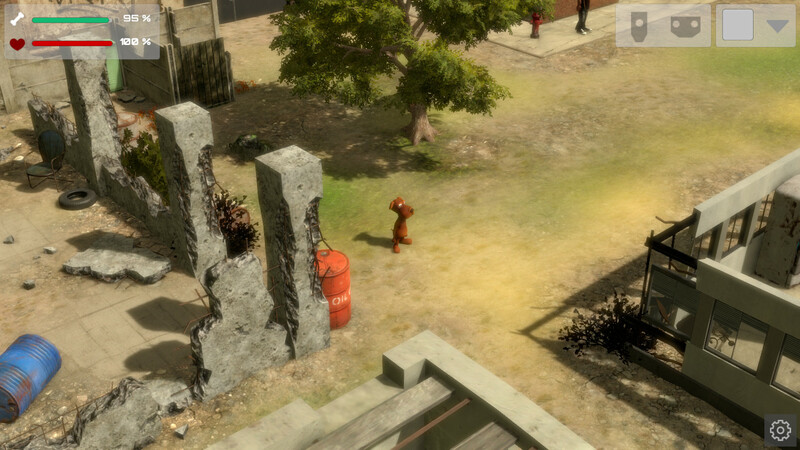 It’s relatively good looking and the textures are nice, as well as the details on the areas; for an indie unity game in 3D/top-down/isometric view it ran surprisingly well on my computer, so kudos to the dev for that accomplishment. I usually have a lot of optimization issues with indie games on unity. As I mentioned before, there’s little in the way of sounds or music outside the menu, and that is almost a blessing considering my dislike for the meny music. You’re also tossed into the game with little in the form of tutorial, explanation, or back story. In fact you’re only told a couple times about what’s going on and what you’re supposed to do and find. If you didn’t read the description on the steam page, you’d have no idea what you’re supposed to do until you encounter that alien – which btw, I’m still wondering why there’s an alien there. The puzzles are fairly easy to follow on what you need to get in order to do what, but the way of interacting with things is a bit uncomfortable. Sometimes objects will highlight but not pop up hints, the icons offered as menu aren’t clear on what they do until you click them and find out, and they won’t appear until you’re in some particular range and angle from the item. Still, the rest of the controls (mostly movement wise) are fairly good despite this. What makes the game a bit harder is that you have to spend quite a bit of time trying to figure out what to do at the start, and you CAN die (and you can save, too, so be sure to save): some characters will hurt you, and you must also keep yourself fed through the game, which I guess is an interesting twist for an adventure/puzzle game, but frankly I’m still unsure if it works. 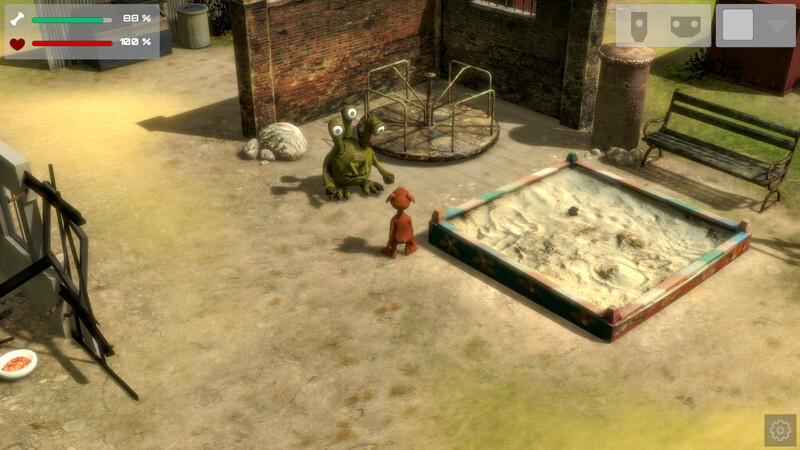 The character animations for the dog and companions are fairly good, but the human animations leave much to be desired. There were also some bugs in which, for instance, you’d get stuck against certain things. All in all it seems like an ok game, and I can see some potential in it which is why I would recommend to keep a watch on it if it sounds interesting; but it really needs a proper introduction and a brief tutorial. I understand Early Access is expected to not be completely functional, but there’s “we’re still testing out things” and then there’s “this shouldn’t really be open for sale and/or the public as a whole yet”. If you like adventure games and want to support the dev, I’d recommend it, it’s an ok game with what it has so far. I can see potential in it, but currently it’s not something I’d recommend to just about everyone. November 21, 2015 Laura M.
Black Sails is a point and click styled horror(ish) adventure game that kind of reminds me of older console horror games, only without the action, and the horror. You are Anna, and along with some dude named Lex who has the manners of seal, you’re shipwrecked and… er… somehow find another ship and manage to climb on that one. Yu must now find a way off that ship in turn. Let’s get on with the more technical aspects first. The game ran fairly smoothly through the first two hours, but after that it started randomly crashing, which was a bit annoying. I couldn’t quite pinpoint what caused it, but I’m almost certain it was related to having alt-tabbed out of it at least once each time. Other than that it was pretty smooth sailing on my older computer. The only real downside I found tech-wise was the lack of a windowed option. The game plays simply. You point and click at things to interact with them, have an inventory on screen at all times, and the whole design aspect of it is rather nice, including the character models (even if the little kid was a little unintentionally creepy). The point and click aspect worked fine for the most, but some of the smaller items on screen (and a section where you had to click on words) seemed to be a little hard to get right, because the hit box was just too small, making you have to hunt for juuust the right spot to click. As an added bonus, you have the chance to save anytime you want (so long as it’s not a cutscene or a character is talking), which I always quite enjoy. Graphics wise it was pretty pleasant to the eyes, some of the camera angles, however, although quite pretty in a cinematic sense, were very uncomfortable. They didn’t really block anything, but they weren’t really useful either, so you’d be walking and trying to click ahead and the camera changed just before the click finished so by the time the click went through the angle had changed and you were walking (or running, since you can run by double clicking) back to where you were coming from. The really big miss, however, was the font choice. The font was completely and utterly unreadable. And tiny. I read around and it seems like you can lower the resolution to get a larger font but… why should you have to? It seems a bit extreme. Sound wise, the music was good and the sound effects were as well. The little ‘horror’ bits to build up tension did create the tense, eerie atmosphere at the start of the game, but after a while they became a bit tiresome and annoying. The voice acting is surprisingly good, even if it’s not perfect. Moving on to the game itself, the idea of not having you (entirely) alone all through was nice. Unfortunately, Lex, your unfortunate shipwreck companion, is very annoying and highly unlikeable. Theory says the way you talk to him affects the way he talks back to you through the rest of the game. Practice says it hardly does. And even though I used the friendly options instead of hostile ones (which he totally deserved, btw), he was still a prick. He was also not overly helpful, but I guess that’s to be expected by now of these type of games. Can’t give you a buddy that will solve all the puzzle for you now, can we? Heaven forbid they have a brain. All that said, I did enjoy the game, though it didn’t offer much on the horror aspect and doesn’t offer much in replayability. The puzzles were decent and with just over 3 hours of gameplay, it’s not too bad, but you do need to be able to put up with the little annoyances.